The Kirstenbosch Shop, operated by Natural World Merchants, sells a wide range of gifts and curios, clothing, homeware and botanical cosmetics. The shop is located in the Visitors’ Centre (Gate 1). It is open every day of the year from 09h00-18h00 in winter and 09h00-19h00 in summer. The shop offers a free gift wrap service, 10% discount to Botanical Society members and a comprehensive freight service. The Kirstenbosch Logo Store is a satellite store of the Kirstenbosch Shop, situated at the Centre for Home Gardening (Gate 2), trading every day from 09h00-17h00. It specialises in a range of Kirstenbosch memorabilia. Amongst other items, you will find aloe cosmetics, botanical homeware, clothing and herbal teas. 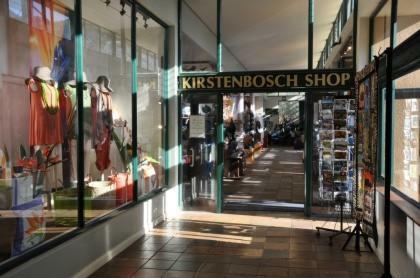 Kirstenbosch Logo Store: Tel/Fax: +27 (0)21 797 6852. Postal Address: PO Box 8618, Johannesburg 2000, South Africa.